Here at Audi Massapequa, Serving Amityville, NY, Farmingdale, NY and Bellmore, NY, We are Here to Help! Pretty much any car dealership can talk about its wide selection of vehicles, and standout customer service, but we live it in our showroom here in Massapequa. You can find a multitude of new and used Audi models, along with a full service center, and get all the details on any vehicle that grabs your attention, thanks to our team that guides you through the process, encourages browsing and asking questions, so you can learn and make a smart, and informed decision about your next new ride. That, and much more separates us here at Audi Massapequa from the rest, and it's why we're the place to go! Your search ends here if you're in the market for a stylish, fun-to-drive and feature-packed new car near Massapequa, Amityville, Farmingdale and Bellmore, NY. We know that you'll look forward to every drive in a new 2019 Audi model such as a Audi Q5, Audi Q7, Audi A5, Audi A6 or Audi A4. Arrange for a test drive to discover that our new cars are defined by chiseled good looks, powerfully efficient performance and first class comfort. With innovative safety and connectivity features, a new Audi vehicle is the best way to maximize your time behind the wheel! It's not enough for us to help you find the new Audi model or used car of your dreams. We also want to ensure that you take the wheel at a budget-friendly price. Fortunately for you, our auto finance experts work tirelessly to provide a financing plan that works best for you! Leave it to our auto finance center and you'll be driving your new car in no time at all! Audi Massapequa is also by your side whenever you need any car service and repair work done in Massapequa. Even if you haven't seen us before, we're proudly serving drivers in the Amityville, Farmingdale and Bellmore, NY, areas. What's more, our auto parts team would be happy to get you whatever you need to keep your Audi vehicle on the road for many miles to come. We could talk all day about everything we have to offer our valued customers here at Audi Massapequa, but truth be told, we would love to show your firsthand. We cordially invite you and your family to come visit us, any time, at 5775 Merrick Road, Massapequa, New York. Whatever your automotive needs may be, we will work incredibly hard to meet them. 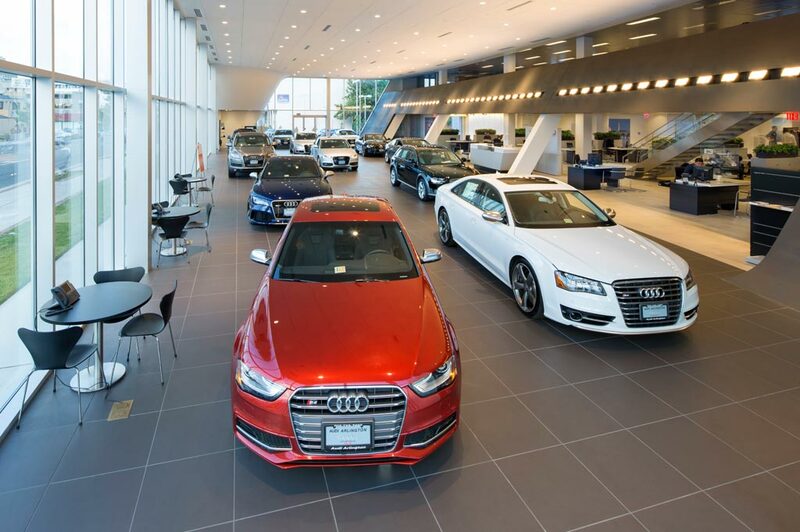 Audi Massapequa in Massapequa, NY treats the needs of each individual customer with paramount concern. We know that you have high expectations, and as a car dealer we enjoy the challenge of meeting and exceeding those standards each and every time. Allow us to demonstrate our commitment to excellence! Our experienced sales staff is eager to share its knowledge and enthusiasm with you. We encourage you to browse our online inventory, schedule a test drive and investigate financing options. You can also request more information about a vehicle using our online form or by calling 8882732935.